We certainly aren't a console video gaming blog, but when reviews of the US version of Sony's PlayStation Vita started cropping up this morning, I couldn't help but take notice of the new mobile console system's software. Particularly, how... smartphoney it looks. "The Vita dispenses with the PSP and PS3's XMB interface in favor of a new, smartphone-inspired OS." "The Vita's smartphone-esque user interface hasn't changed one bit since we first smudged it at San Francisco's Vita Hill Social Club." "Start up the PS Vita and you are met with Sony’s new interface, part smartphone part games machine, part Xperia, part PSP." "Stick and click—or touch and swipe—your way through menus that are an even mix of generic smartphone and PS3." "The user interface, in comparison, is all brand new. Gone, for the most part, is the XrossMediaBar. It still pops up in the Settings mode, but the main inspiration for the UI is, dare we say it, iOS." And it's not hard to see how this sentiment has arisen. Notification/status bar? Check. Tiled home screen? See above. Touch display? Present. Appification of everything? Pretty much. 3G connectivity? You got it. It's not a stretch to say that, but for lacking a dialer application, the PS Vita is a (albeit quite large) smartphone that doesn't work as a phone. Now, don't nail me to the wall in the comments just yet - I'm well-aware that statement is a bit of a reach. 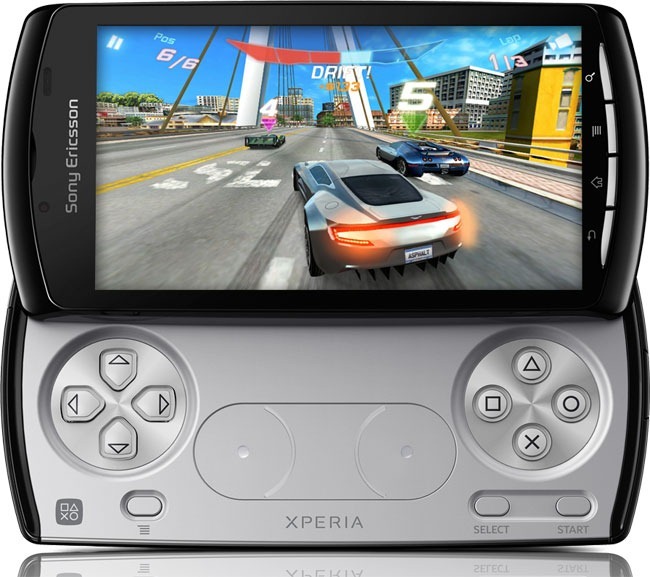 The Vita is close to a smartphone like a pickup truck is close to a race car. Both have 4 wheels, utilize internal combustion engines for propulsion, and are operated via steering wheel, but it's clear key differences remain. Namely, you can't, and probably wouldn't want to, use the PS Vita as a phone. Even if it did have a dialer and phone functionality, you'd essentially be putting a Ford Ranger with slick tires and racing stripes on a track - not only will you be slow, you'll look like an idiot. The Vita's mediocre battery life (3-5 hours), large size (18.6mm thick, roughly 8" across), and lackluster app library would be insurmountable obstacles to such a device's success in the increasingly cutthroat world of smartphones. But these flaws are of relatively minimal importance in its intended market. They're even beneficial in some ways - the large size means room for thumb controls and a large display, two key selling points for the device. 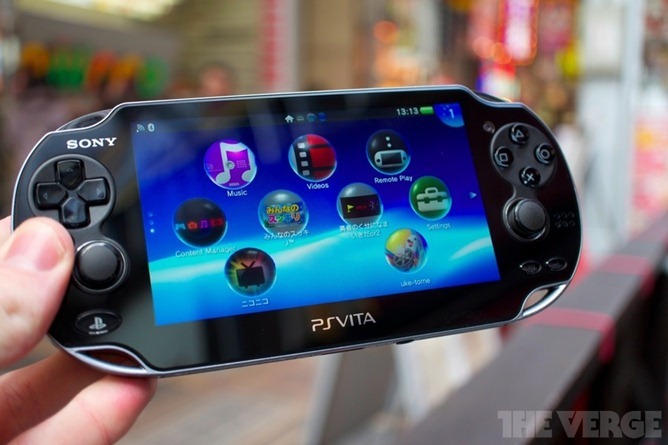 But compared to its predecessor, the Vita's evolutionary shift is clear: A big, beatufiul touchscreen. Apps. Cellular data. The signs are here. Now, I'm not saying I know how or when this movie ends, but I've got my suspicions, and some information to back them up. I believe many of us picture a future where the need for multiple portable electronics continues to decrease. We've already witnessed the consolidation of the pager, dumb-phone, Walkman, digital watch, and numerous other gadgets into one class of device. Like it or not, Steve Jobs and Apple were probably the parties largely responsible for initiating this process of natural selection - but Android has kicked it into high gear. 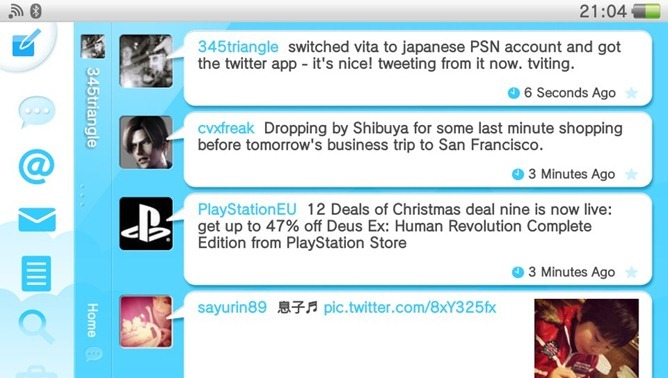 That makes the Vita a bit of a Neandertal. In an evolutionary family tree rapidly converging on a single successful form factor (well, two - tablets, as well), can devices like the Vita use what advantages they may have to continue carving out their own environmental niche? We know the MP3 player failed to do this, and Apple remains the last refuge of that species, which is slowly but certainly headed towards extinction. And I see no reason why devices like the Vita won't suffer the same fate. Mobile gaming devices went unchallenged for almost 20 years, until the iPhone and a little title called Angry Birds showed everyone that it didn't take a name like Nintendo or Electronic Arts and a $50 price-tag to make millions on a video game. And as for graphics? 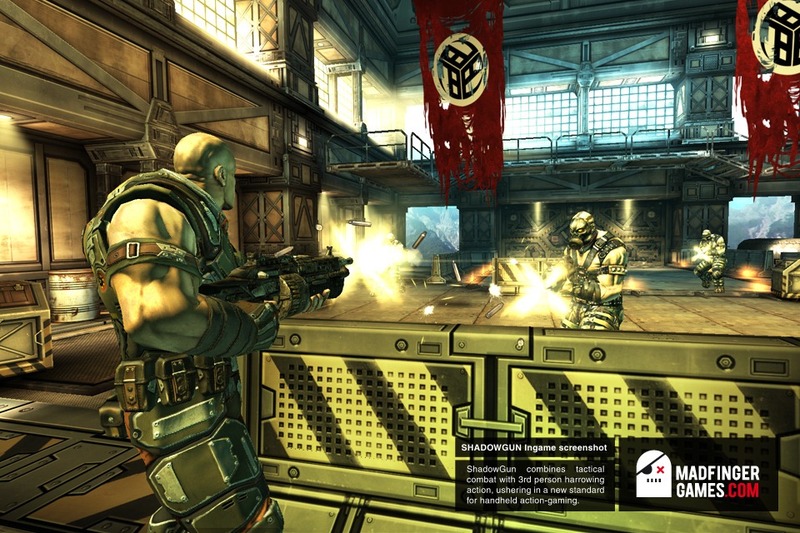 Take a look at games like Shadowgun, which feature visuals not too far from those seen on PC games of only three to four years ago. The takeaway? The Vita and devices like it are almost certainly going the way of our bygone evolutionary siblings (depending on whose theory you believe, that is). Evolve or die - this is the mantra by which the high technology market has operated for decades. And this is where Android comes into the fray: how will Sony evolve to save a fairly profitable division of its otherwise stagnating business? Option one, in my opinion, is the most forward thinking: get on the smartphone train while you can, and hope to retain some of your genetic distinctiveness. Sony makes Android phones, and has for a while. It even made a (pretty crappy) gaming phone. Sony is definitely testing the waters, because it knows what lies ahead. But Sony hasn't let go of its identity yet, because it still makes good financial sense to pursue a standalone mobile gaming device. Licensing agreements and royalties from publishers are quite profitable, owing in large part to the high retail price of games (around $50), and proprietary software and hardware that at least make it tedious to pirate and play those games on other platforms. In addition, there's the fact that its PSP line of devices has been wildly popular in Japan. Android, however, presents larger risks to the company. Countries without access to paid apps or the Market altogether are rife with community-supported piracy. And good luck with software DRM - a single vulnerability means your high-profile game will end up on a warez board in China or Russia in no time. That's not to say the same doesn't happen with its modern console titles, but like I said, you'll still probably want to buy the console they were designed for, and go through the hassle of h4x0ring it to play them. And profit margins on mobile games pale in comparison to their console cousins. Gaming remains a very big part of Sony's product portfolio - one with a history nearly 2 decades long (hard to believe the PlayStation was released way back in '94, isn't it?) - while its smartphone division has been around barely a tenth that long. Sony is also a company infamous for its dogmatic stubbornness when it comes to proprietary (or obscure) hardware formats (Betamax, Blu-ray, UMD, speaker connectors, various memory cards), using tying strategies to lock consumers into its closed product ecosystems. Once again, Android makes doing this difficult - at least without losing access to the Market. Sony, more than any manufacturer, probably resents being reliant on Android at this point. Android means Sony loses control over content access, has to support common memory standards, and leave the underlying OS functionality relatively intact. Sony executives are almost certainly salivating over the prospect of a totally proprietary Sony smartphone, which they can not only leverage to carriers looking for the newest and coolest devices, but to consumers with a desire for upmarket gaming titles that blow anything Android or iOS have out of the water. A Vita-like smartphone, then, could be on the horizon. The big question, though, is whether or not Android, iOS, and Windows Phone 7 devices will kill Sony's mobile gaming division before it has a chance to evolve. If the smartphones triumph and Sony can no longer realistically (read: profitably) leverage its premium gaming experience in the mobile space, it will be forced to eventually choose Android to continue on that legacy as best it can. No amount of marketing can bring an obsolete product back to relevance - something Research In Motion learns on a quarterly basis. Of course, if Sony started making serious moves to convert that segment of its business to Android right now, it could save a lot of time, money, sweat, and tears - assuming such a shift would succeed. Amazon has already proven that a sufficient content library can make a device without Google-approval work. Could Sony do the same with a heavily skinned Android PlayStation phone, perhaps utilizing hardware DRM to protect its game titles and Amazon's Appstore to supplement a lack of content? I don't know. But what I do know is this: I'd definitely be interested in seeing that phone.